Autumn has arrived. I am sat on a wall on Hilbre Island enjoying the mellow feeling of the first days of the new season. The sun is warm but not scorching, the breeze gentle. Everywhere I look it seems the Patch is starting to unwind from the frenzy of summer. The grass is golden, seeds are setting, shrubs are fast becoming what gardeners describe as “leggy”. Things are slowing down. So am I. I am really rather relaxed. For many the end of summer means a return to school. Shorts and sandals are being swapped for uniform and new school shoes. Buckets and spades replaced by textbooks and pencil cases. There are still signs of summer here though. Swallows are zipping across the cobalt sky above me. 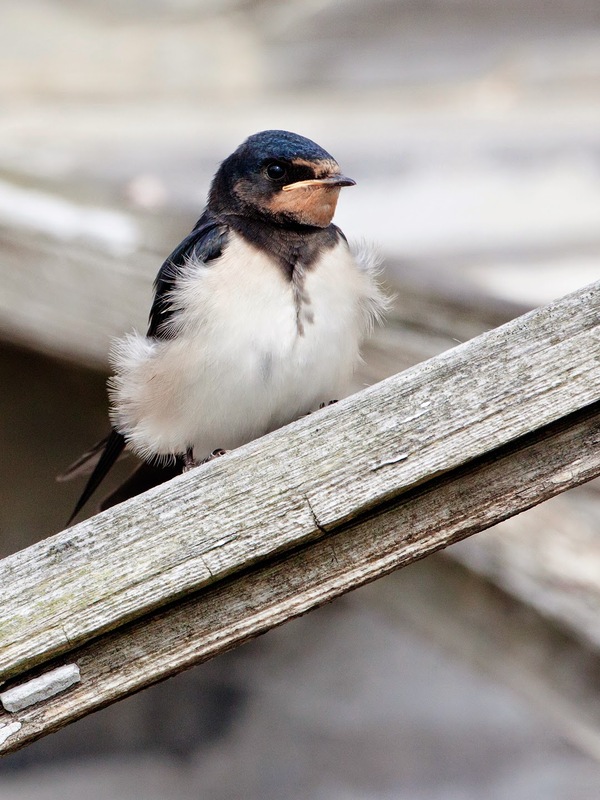 This year I have paid close attention to Swallows. I have a liking and admiration for this species, the arrival of the first on Patch in March is a happy day. They always sound cheerful, like they know they are the bringing summer, the easy season, with them. I’ve lost whole afternoons transfixed as the adults hunt insects over meadows that softly sway in a summer breeze, marvelling at their ability to catch flies in daring aerial manoeuvres. I have sat quietly while chicks have waited for a meal to be delivered and watched as one is brought in, the adults depositing food into their young’s mouth without landing. Is it any wonder that I have developed such a soft spot for this species? 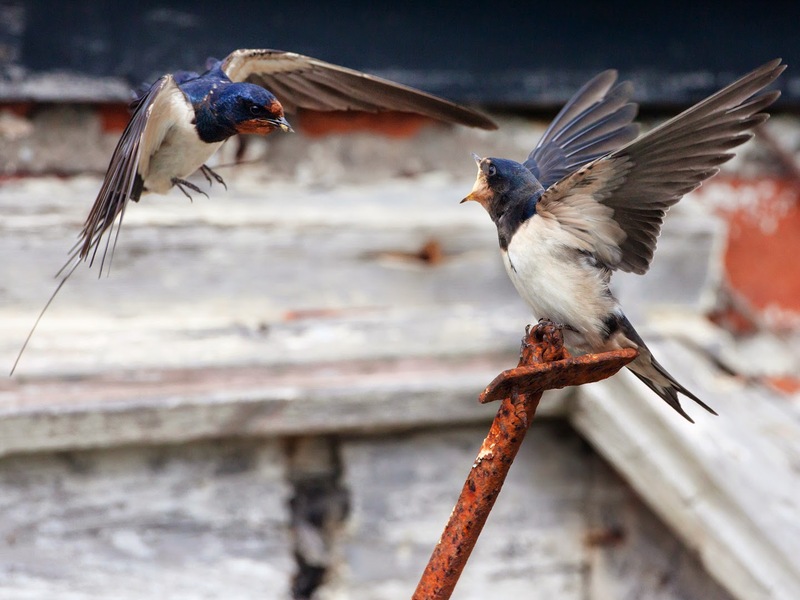 Wildlife photography often involves long uncomfortable waits that can all too often end with no results but I have always found photographing Swallows to be a productive, thoroughly enjoyable pastime. 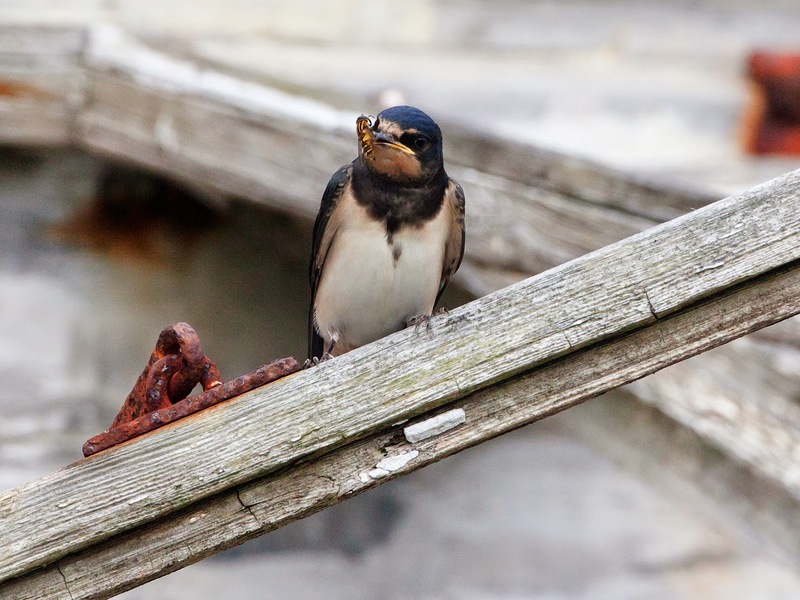 In front of me is a juvenile Swallow sitting on a rusty metal spike waiting for its parent to return with an insect packed lunch. I am waiting for its parent too. I want to get a shot of the exchange of food. As I sit and wait I examine the youngster closely. Its adult plumage is starting to come through although it is not there fully. It is still a little beige where the adults are white and its tail streamers are still a little stubby. A little Physical Education. I think about the exertions of their long flight from South Africa to the Patch. What strength and stamina it must take to make that journey. Then there is a bit of geography. They pass over many countries, fly across deserts, over rain forests, skirt around mountains and cross seas. Geography is followed by double physics and astronomy so I can understand how they navigate. They use the earth’s magnetic field and the orientation of the stars to make their way north to our shores. Astounding. Now for a little bit of maths, never a favourite subject for me; just how many insects can these birds catch in a day? Loads it would seem from my observations today. Home economics lessons next, how many bugs do they need to power that flight to the southern tip of Africa? Again the adult supplies more food. Then I see something I have never witnessed before. It seems that perhaps this youngster is not as keen on its lunch as I first thought. It re-opens its mouth, the egg yolk yellow gape is still visible giving away its young age. It has been given a hover fly by mum or dad but it appears to find this fly rather unpalatable. 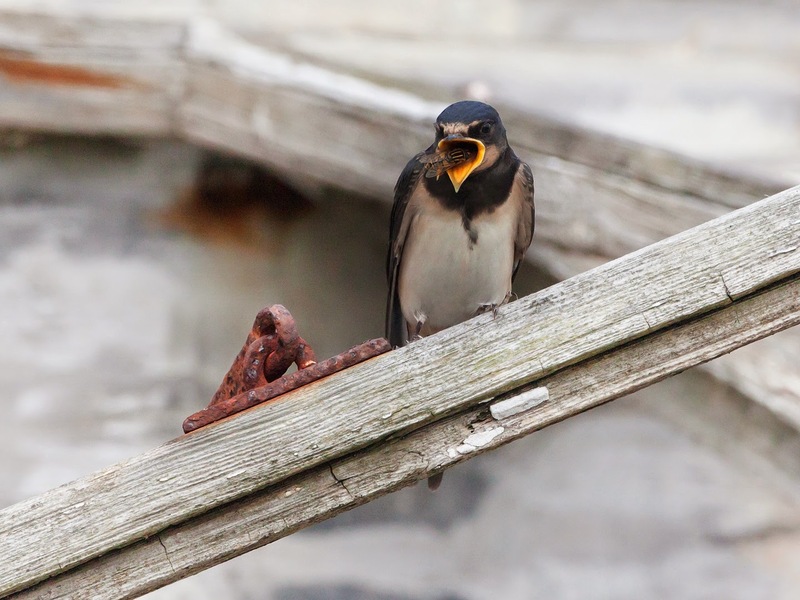 It coughs the fly back up and it alights on the side of the Swallow’s mouth, dazed, terrified - who knows what emotions (if any) hover flies have. 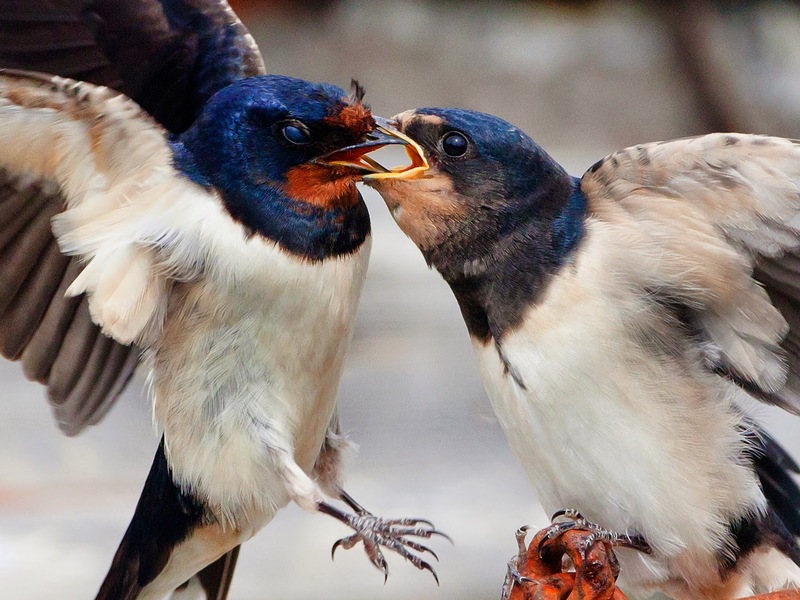 The Swallow is determined not to eat its dinner and shakes its head until the luckiest bug on the Patch - maybe the world - is flung from its face and flies off. I suppose we all have foods we don’t like. 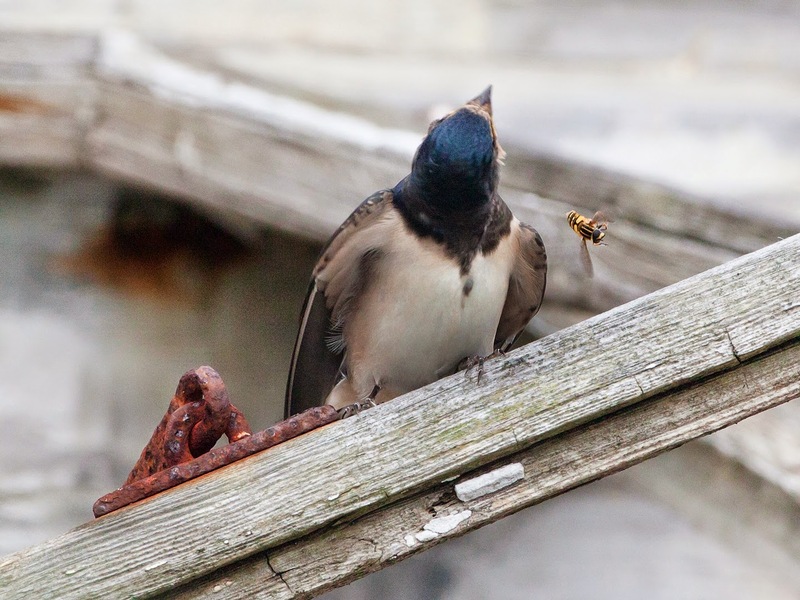 For me it is shellfish and tomatoes, for this Swallow it seems to be hover flies. These birds have taught me a lot about avian ecology but I still have a few unanswered questions. Who teaches these birds to navigate using the stars? The adults leave for Africa before the chicks do, so how do the youngsters know how to find their way to South Africa under their own steam? 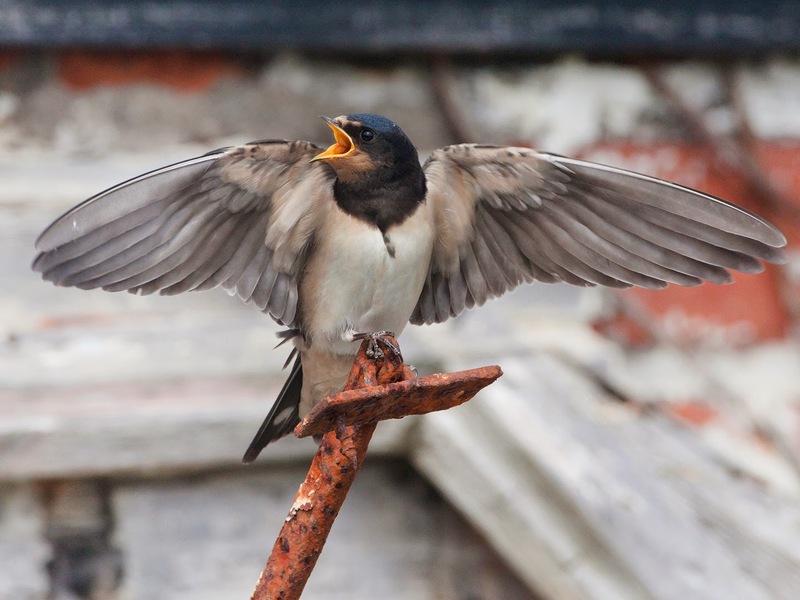 There is no geography A-level for Swallows. 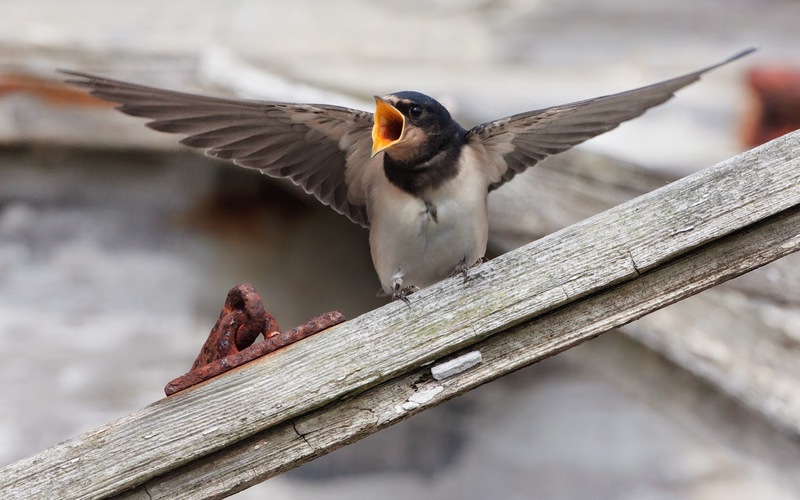 I am finding it hard to imagine that in a few weeks from this moment my Swallow-teen will be many hundreds of miles from here swooping for its own food over African savannahs. I find myself wondering if it knows what it has to do yet. What trip it must make for the winter. Is it nervous? The journey ahead is long and treacherous, with many life lessons to learn. 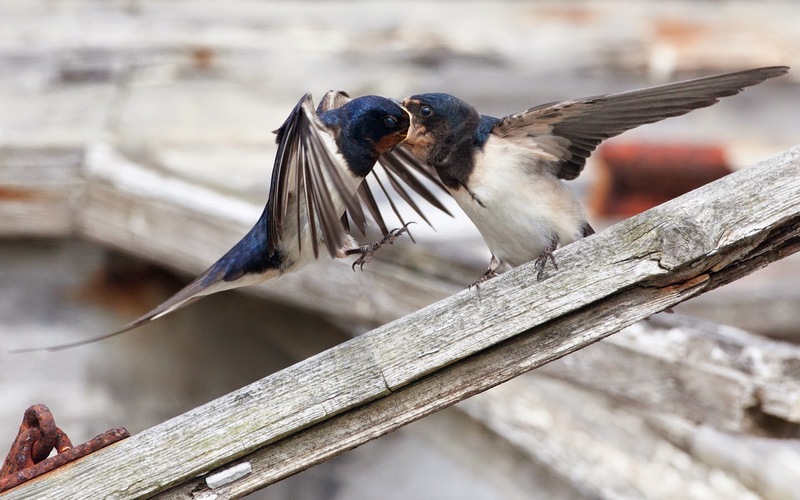 A parent swoops down and delicately places some more food for its chick. This time it eats the lot. This young bird has much to discover - just like the children on the mainland heading back to school now the dog days of summer are over.